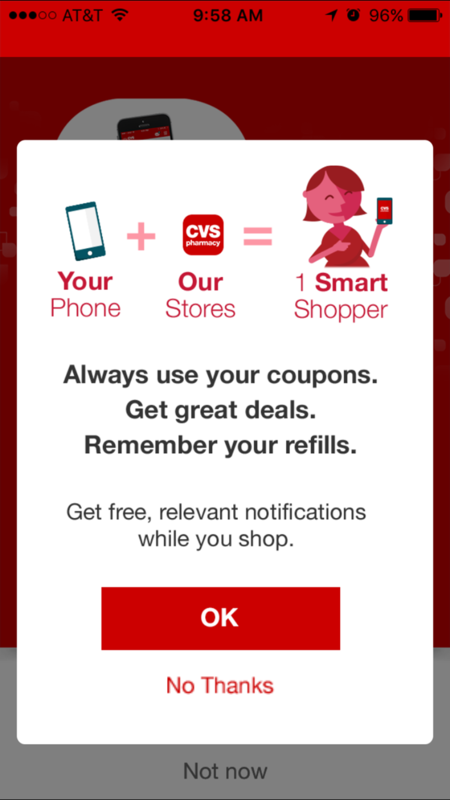 I’m proud to partner with CVS Pharmacy for the CVS Pharmacy App Activation. I am being sponsored by CVS Pharmacy for my posts and activities, but all opinions expressed are my own, and all product claims or program details shared should be verified at CVS.com or with the appropriate manufacturers. Ah the school car line. It’s a big part of the day for many parents. Where you can spend any where from 10 minutes to an hour in the morning to drop off your children and then return to sit in the car again in the afternoon. When we lived in Cleveland, our kids went to a school that didn’t have buses. The parking lot was also incredibly small. It had been a school with a decent parking lot many years ago but then it closed and they sold off parts of the lot to various retail businesses. The school reopened but never regained the parking. The school sat back off the street behind the retail businesses and there was a long driveway that led to the pickup area. The driveway was big enough for one line of cars to arrive and one line of cars to depart and the parking lot itself also only had enough room for two lanes of cars in the middle and one in the back. 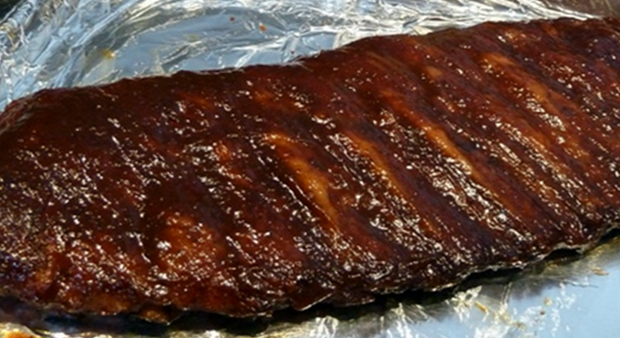 So you can imagine that sitting in the car line could take forever. Our house was only 1/2 mile from the school, down a road off the main street the school was on. When Dave and I first moved in, we would see all this traffic on the main street and could never figure it out. It was always really hard to turn at the end of our road on to this street at from 2:00 – 3:30 pm. We knew that was usually when a shift for some factories would end but there were no factories in the area. We were stumped, until we had Kora & Logan. Once they were old enough to go to school we realized with horror, that all those years all that stopped traffic was the school car line! Kids from all over the area, not just our neighborhood went to the school. If they lived a good distance away and they couldn’t walk or bike home, their parents had no choice but to sit in the car line. Parents would start lining up at 2 pm, school got out at 3. An hour! The line would back up all the way to our street! Since we only lived a 1/2 mile from the school we walked every single day. Rain, snow, sleet, or sun we walked. I just couldn’t see driving to the end of the street to get in the car line to sit there for an hour when walking was a possibility for us. Now that we’ve moved to Michigan, we are further from school and the kids can take the bus. It takes them quite awhile to get home on the bus so I give them the choice of whether they want to get picked up or ride the bus, especially in the winter when there isn’t much daylight left by the time they come home. The car line here is much shorter and faster. There is also actually a real parking lot so parents can go in if they need to. If I do pick Kora & Logan up, I aim to get there 20 minutes early so I’m near the front of the line so the kids aren’t waiting around for me. What do I do with those 20 minutes? I shop online of course! 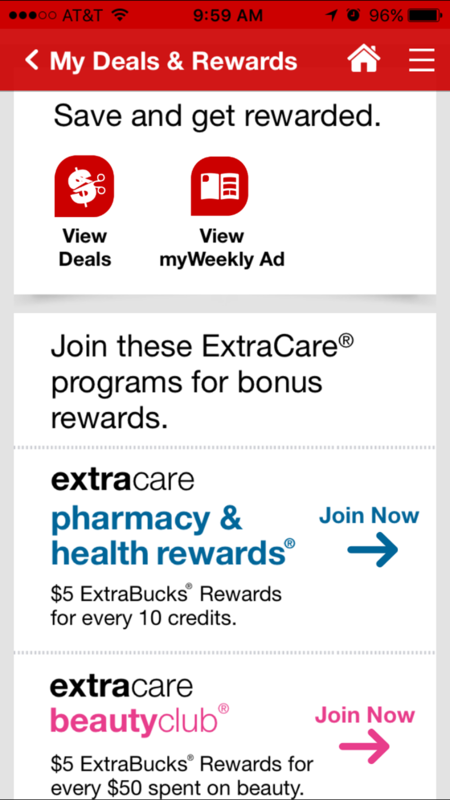 I use my CVS Pharmacy App to check out the coupons and great deals. I can connect my ExtraCare Card to the app to view my offers. 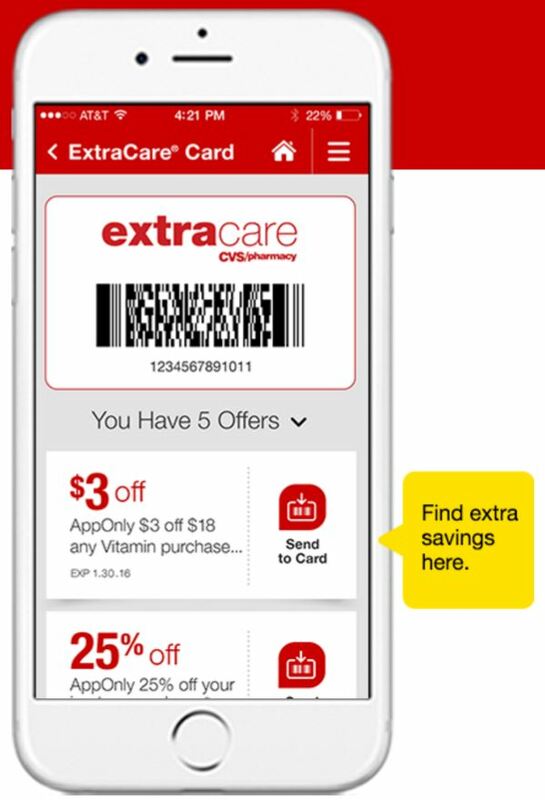 I like that the app sends you personalized deals based on your purchase history and then you can send them directly to your ExtraCare Card. 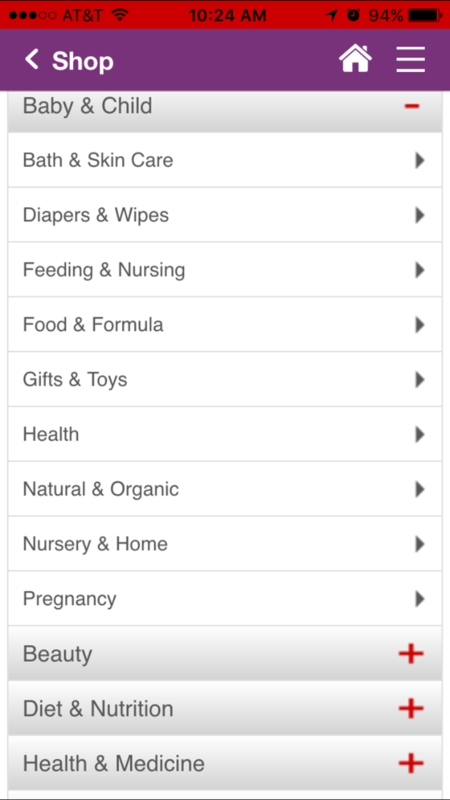 I also like that you can do your shopping through the app as well and easily reorder past purchases. Not only does using the CVS Pharmacy App help pass the time while I sit in the car line, but it also helps me check things off my to do list which always feels good! What about you? 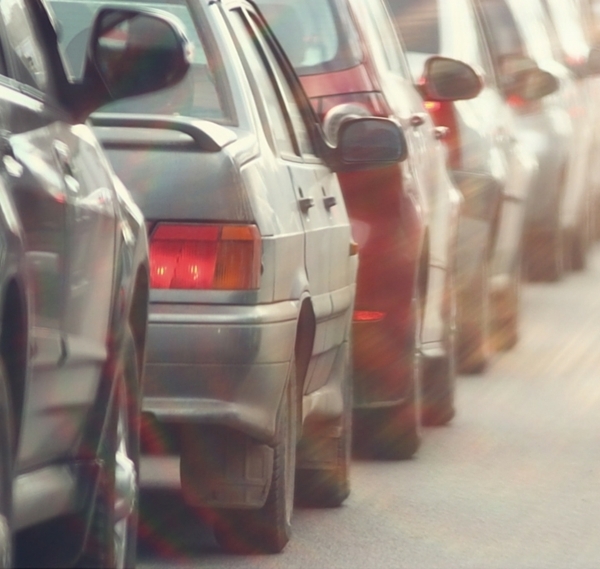 How long is your car line? What do you do to pass the time? This is a really cool app.Thanks for sharing! 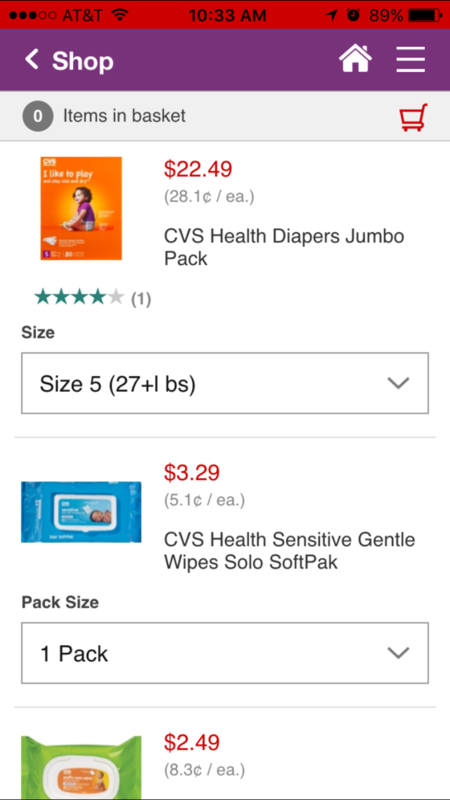 What an awesome app that CVS has and it is really helpful to get such good deals and keep track of what I need. 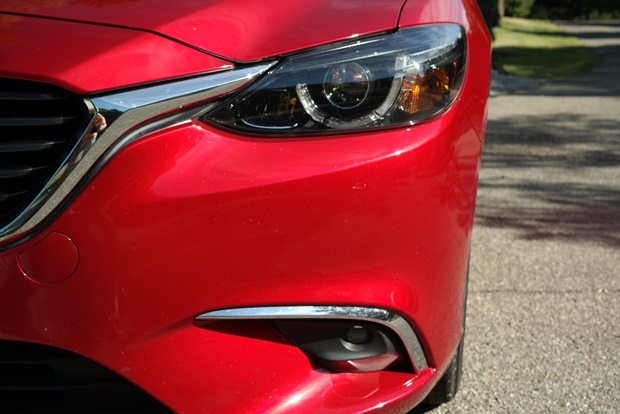 I know all about car lines for picking up kids. It takes forever! I have always had to get there 20 minutes early as well! I used to catch up on my reading while waiting in the car rider line or wipe down the inside of my car with a baby wipe. You will know I am bored when I am wiping things down in the car! We drop both of our kids off, one is in elementary and the other is at the middle school (totally different locations). The oldest rides the bus back home (it may actually be quicker because he is one of the first stops) but we pick up the youngest. The line isn’t too bad but on many occasions I will read a magazine or call my parents while waiting in the care line.